miketheterrible wrote: Russia will effectively make the defense industries tied directly to civilian market, and vice versa. Already we are seeing so many results of this. This is something that was done in the US and in Germany for decades before and it proved to work great as the defense companies always had funds to continue to do R&D in new technology as well as incorporate civil tech into military, and vice versa. Now, from what I have read, the Universities in Russia are ingrained in the defense and private sector in R&D and that is were majority of the university budgets come from. Essentially - Russia is doing what the west has done during the cold war. I guess playing by their own games. You're naive to think that nothing of the sort was done in the USSR either. Of course it was. Huge amounts of science and research, development in various fields - were related to military-industrial needs one way or the other. What there wasn't was a capitalist system. Military-industrial enterprises were always assured orders, and they didn't have the incentive to bring out highly-innovative products for the civilian market - as they very much have to do now. The layout of the MiG-25 was revolutionary and has been widely copied. The BMP concept of an infantry fighting vehicle has been copied. I would say the idea of the assault rifle was another example but it was a Russian invention before the Soviet Union existed in the Federov Avtomat of 1916. Rocket propelled torpedoes, helmet mounted sights with high off boresight AAMs, thrust vector engines for aircraft, automatic grenade launchers for infantry to replace light mortars... the list goes on. Concern "Kalashnikov" acquires Rybinsk "Nobel Brothers Shipyard"
As the newspaper Kommersant writes in an article by Anastasia Vedeneeva and Ivan Safronov, the Kalashnikov moored in Rybinsk. The concern buys "Nobel Brothers Shipyard", the concern "Kalashnikov" is expanding its shipbuilding business. Following Rybinsk shipyard and "Vympel", he buys "Nobel Brothers' Shipyard". Until now, the enterprise belonged to the structures of Roman Trotsenko and for the most part built ships for his own Moscow river shipping company. But the businessman lost interest in shipbuilding, and the lack of serial orders did not allow making the business profitable. But the "Kalashnikov" shipyard will allow us to talk about creating a full-fledged shipbuilding cluster. MOSCOW, May 24. /TASS/. Russia has coped with the task of import substitution in the field of aircraft and naval engine engineering, Deputy Prime Minister Yuri Borisov said on Thursday. "I can say that there is no dependence on Ukrainian products any more. The situation with western supplies is changing cardinally. We’ve coped with the problem of replacing the aircraft and ship engines," he said in a lecture before an audience of students at the Academy of the General Staff. Borisov believes that import substitution efforts must proceed. "There is no time for complacency. Regrettably, we still experience dependence on electronics components, in particular, special ones," Borisov said. Earlier, Industry and Trade Minister Denis Manturov said that by 2018-2019 Russia would be able to produce substitutes for components it had earlier received from Ukraine. Ukraine-Russia cooperation in the military sphere was frozen in 2014. Since the Soviet era some components for military technologies had been provided by manufacturers in Ukraine. The disruption of ties jeopardized a number of Russian defense-industrial complex programs. Ukraine’s refusal to provide gas turbine power plants paused the construction of several ships for the Russian navy. As TASS news agency reported on October 24, 2018, Russian President Vladimir Putin signed a decree on the transfer of the United Aircraft Building Corporation (UAC) to Rostec, 92.31% of UAC shares will be transferred to the state corporations. The corresponding decree is published on the official portal of legal information. On October 30, 2018, the Ogarkov Readings conference was held, which was organized by the Center for Analysis of Strategies and Technologies (AST Center). We present to your attention the report of the Deputy Director of the AST Center Konstantin Makienko "Foreign partners of the Russian state in the field of military technology transfer: from Moscow Russia to the Soviet Union." It analyzes the role of foreign countries in the development of the Russian military industry from the time of Ivan III until 1991. Apparently the problems may be superficial. Always demanding money due to "issues". We have now seen this with every single manufacturer in Russia for weapons. They all complain (minus Sukhoi). Yet they are given massive orders and their parents company leases out aircraft and sees rather large profits. So I think there is no problem, and only problem is management trying to strong arm the MoD. Also, judging by article, they are stating that production rights for aircraft may be transfered to Ulan Ude. MOSCOW, Feb. 8 - RIA News . Supercomputers will be used in the development of 30 types of weapons, military and special equipment by 2027, according to the government’s order published on the official portal of legal information. "The number of armaments, military and special equipment, in the development of which supercomputer technologies have been applied, will be 30 units," the document says in the expected results section of the state program for the development of the military-industrial complex by 2027. IZHEVSK, March 21. /TASS/. The Kalashnikov concern last year garnered a 17-billion-ruble revenue ($267 million) showing a 280% growth against 2017 as follows from statistics published on the concern’s website on Thursday. The concern’s reported net profit is 175 million rubles ($2.7 million). The concern says the financial parameters reflect growing production on internal government and military-technical cooperation contracts for providing the 200th series automatic rifles and AK12, robots, drones and other cutting-edge technologies. 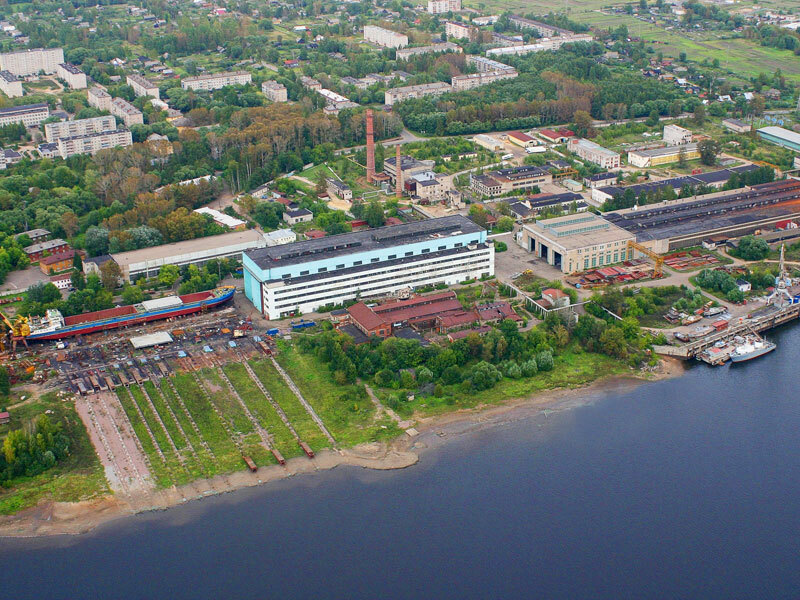 The Kalashnikov group of companies incorporates the Kalashnikov Concern proper, Izhevsk Mechanical Plant, Rybinsk Shipyards, Nobel Brothers Shipyards, Mytishchi Machine-Building Plant, designer and producer of drones ZALA AERO, research and industrial association NPO Molniya and some other enterprises. What are some Business Ideas in Military Defence for small businesses in Russia ? It could be a brand new idea. It could be improving an existing product (like seekers, small engines for UAVs etc).